Commemorate your child's special day with this simple but unique personalized keepsake bookmark. 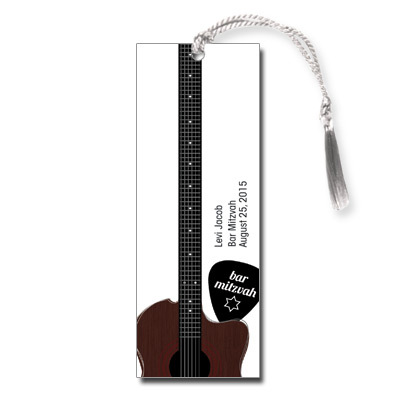 This bookmark features a brown acoustic guitar, black guitar pick and a white background. Personalize it with your child's name, event type and date. Bookmark measures 2 x 5.5 and comes with white tassels; light assembly required.